How to numb skin for a tattoo? Here are the ways! - Cherry Colors - Cosmetics Heaven! How to numb skin for a tattoo? Here are the ways! Getting a new tattoo can cause a lot of pain. It should not come as a total surprise if you feel any pain when having a tattoo, but there is a way to lessen it. The use of tattoo numbing cream is strongly recommended for people who cannot tolerate the tingly sensation of getting a tattoo for up to a few hours. Especially, when choosing to have a tattoo placed on sensitive areas, such as the ribs, top of the feet, or back of the knees. Is it Possible to Have a Painless Tattoo Procedure? 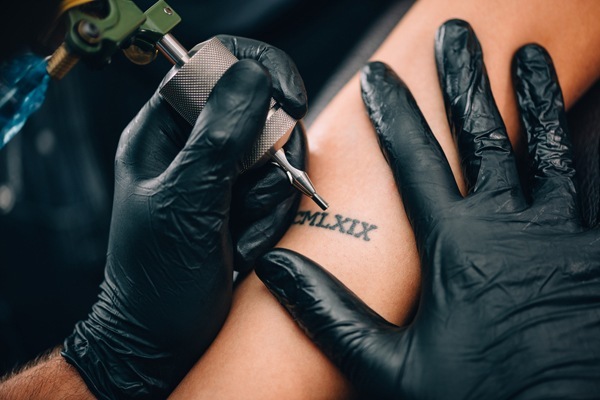 While numbing cream does not really eliminate the entire sensation of pain, it can really help in making your tattoo experience a whole lot easier. For more lengthy sessions, however, the numbing cream might wear off as the artist will use surgical soap to wipe away the tattoo. Applying numbing cream is easy. All you need to do is to apply it on top of the skin either with your bare fingers or with a tongue depressor. Once covered, wrap it in saran wrap and seal with masking tape around it. Timing is important. Make sure that the cream is applied an hour before the procedure. What are the types of topical anesthetics used for tattoos? Topical anesthetics usually contain lidocaine. It is a local anesthetic which has lidocaine. Its action is swift and effective. To known about the effects of topical anesthetic, it must be applied directly to the affected area. The composition of this type is jellylike. It is effective in numbing the skin before the application of the tattoo. It can penetrate deeper levels of the skin to ease up the pain. It should be applied one hour prior to the procedure. This type is better than others regarding long-term effects. It lasts up to two hours. Unlike topical gels that has the composition of jelly like substances, topical sprays make use of lidocaine's numbing effects through small mists or drops. Topical anesthetic sprays work right away the minute it touches your skin. It is more time efficient and is a great partner for gels to make the numbing feeling last for more than two days. A tattoo numbing cream is made up of semi-solid substances that are kind of similar to gels but differs in consistency. Once it is applied to the skin, it will start blocking the pain receptors so the pain will not be transmitted. Considerably, anesthetic creams may help contribute greatly to the reduction of pain during tattoo procedures. Ointment works just like the cream. It numbs the skin and can also be of paramount importance after the tattoo session. Additionally, it helps improve the healing of the wounds. Choosing the best tattoo anesthetic is very overwhelming. Do not just check the brands. To help make sure that you will choose the right choice, you need to have an answer of YES to the following questions. • How effective is it? • Is it safe for me? • Is it widely available in stores? • Is the price reasonable? • Can I easily apply it? With these guidelines for safe measure. It can serve as a guideline that will surely lessen the process of experiencing pain inside the tattoo salon. Some people may experience a skin reaction, such as reddening and rashes. For freshly shaven skin, redness and burning sensation usually occur. Other ways to numb your skin without the cream is the use of ice. The numbness utilized from natural procedures, however, is only temporary. Skin patting and sitting on the arm and leg interrupts the blood flow. Thereby, numbing the skin for a few minutes. There may be pain-free numbing creams available in the market, but you should never try to bandwagon and join the club. Do your research first. What works for someone might not necessarily work for you. Emily is the founder of BodyShape101.com, a blog where she and her associates talk about exercise, fitness, and yoga. Their aim is to help people like you to achieve the perfect body. BodyShape101 is concentrated on exercise & fitness tips and making the most out of it. She is also a mother of one and she tries to find the balance between her passion and her biggest joy in life.